Recent attention to the closure, followed by re-opening, of Carluccio’s (Which itself had only recently replaced the long-established Graham O’Sullivan’s) on Dawson Street in Dublin raises a number of interesting issues regarding city centre rents, recent planning practices, and attitudes to retail trade amongst a number of bodies within Dublin city centre. 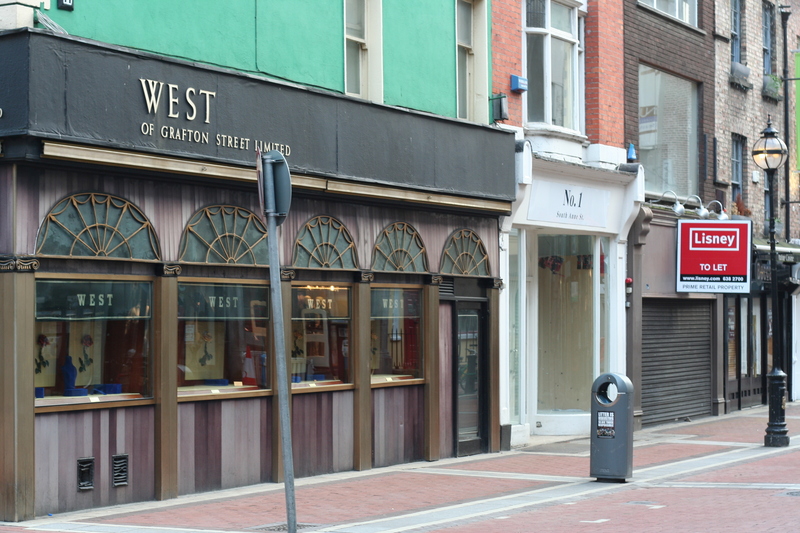 Throughout the boom years a number of prime retail areas in the city centre were designated by Dublin City Council as Architectural Conservation Areas (ACA’s), and, directly connected to this, Schemes of Special Planning Control (SSPC) (An area had to be designated as an ACA in order to become a SSPC). While seeming somewhat innocuous in their own right, there was a particular rational for so many retail areas to be designated as such. A primary aim of a Scheme of Special Planning Control is to remove what are perceived as ‘undesirable uses’ (fast food outlets, convenience stores) and attain ‘Higher Value Uses’, or ‘niche’ shopping, in an area. Furthermore, such uses, it is perceived, will then attract higher rents, and higher land values which would support more of the same higher end uses. However, in reality, prior to the bust, it seemed it was those stores that were best able to pay higher rents that remained in an area where land values were going up. This, somewhat ironically, includes fast-food outlets, such as McDonalds and Burger King. While the above connections may seem slightly tentative, the introduction of the Business Improvement Districts (BIDs) model to Dublin is more explicit in terms of the connection between the re-ordering and increased control of urban space and higher land-values. Just over a year and a half ago, the designation of much of the city centre area as a BID was heralded for its ability “to increase footfall, decrease crime, increase property values and overall trading performance.” Therefore, it must be assumed that the potential for higher rent generation is also perceived as one of the positive outcomes of the BID. Given that the Dublin City Business Association was directly involved with, and lobbied for the introduction of, the BID, it must also be assumed that they were also in favour of higher rents. 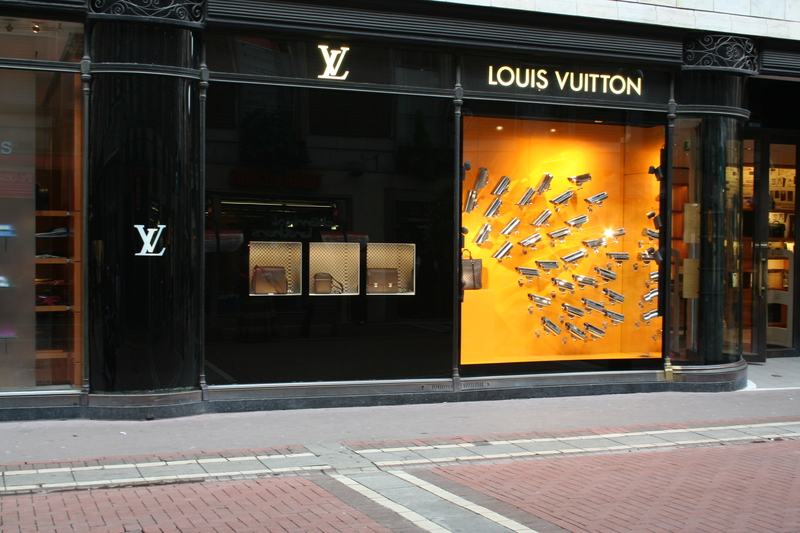 Now, as illustrated by recent reports, and despite the removal of upward only rent reviews, city centre retailers, such as the owner of Korky’s shoe store on Grafton Street, are becoming increasingly worried about the impact of the retention of higher rents that they cannot afford on the future viability of their business. If it is these high rental values which are now turning out to be the nemesis of the viability of trading in the city centre, the question must be asked as to why higher land-values were heralded as one of the positive outcomes of the BID mechanism. It seems that the desire for more up-market land-uses only ads to an already existing cycle of unsustainable rent increases, which in turn, as evidenced by the growing number of empty units on streets such as Grafton Street, leads to vacancy.